The Work Permit (WP) for a Foreign Domestic Worker (FDW) allows to perform domestic works as a domestic helper in Singapore. Maid: The term “maid” is a degrading term which is still commonly used in Singapore. There is a sense of servitude and immediately puts one lower on the social order which is completely wrong. They are also just working like other professionals. The term “maid” actually reinforces the treatment of domestic workers as lower beings because it subconsciously reiterates the wrongful notion that they are somehow lower in the social order or status. Our domestic workers are working in Singapore at great personal costs with low wages and often backbreaking hours. We should therefore be mindful of not making their position any worst! We need to exercise better judgment on our choice of words. Hence we have refrained from using such low grade term which has been replaced with “Domestic Helper”, “Domestic Worker” or “Domestic Assistant”. Get an overview and key facts about the Work Permit for foreign workers. 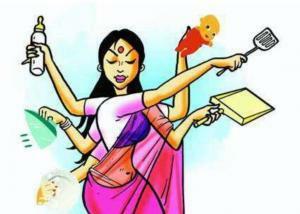 Who it is for Foreigners employed as domestic helpers in Singapore. Both employers and FDWs must meet the eligibility criteria. Who can apply An employer or appointed employment agent needs to apply for the permit. Qualifying salary No minimum required. What is the duration Up to 2 years, depending on the validity of the security bond. Foreign worker levy Yes. Employers must pay a monthly levy. Medical insurance Employers must provide medical and personal accident insurance. Get an idea of what you need to do before, during and after you apply for a Work Permit. You need to meet certain requirements to hire a foreign domestic worker (FDW). These include eligibility, security bond and insurance. 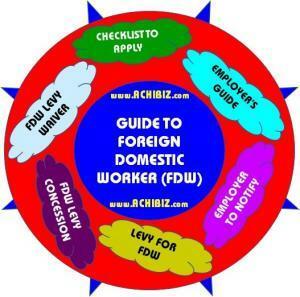 A foreign domestic worker (FDW) needs to meet age, nationality and education requirements to get a Work Permit. From 23 to 50 years old at the time of application. FDWs above 50 years old can only renew their work permits until they reach 60 years old. From an approved source country or region, including Bangladesh, Cambodia, Hong Kong, India, Indonesia, Macau, Malaysia, Myanmar, Philippines, South Korea, Sri Lanka, Taiwan, Thailand. Minimum 8 years of formal education with a recognised certificate. Be employed at your home address as stated on your NRIC. 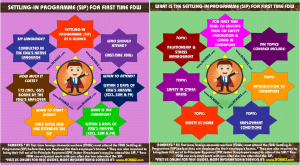 Attend the Settling-In Programme if she is a first-time FDW. MOM will inform the employer if an FDW needs to attend SIP in the approval letter. Not be related to the employer. Not be in Singapore during the application for the Work Permit. She should only arrive after you receive the in-principle approval and buy a $5,000 security bond. Note: This does not apply to Malaysian workers. Doesn’t have an FDW employment record with MOM’s Work Pass Division. Has an FDW employment record with MOM but eventually did not work in Singapore. As an employer, you need to meet the eligibility criteria before hiring a foreign domestic worker (FDW). 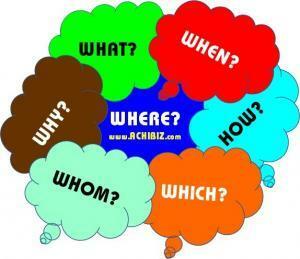 Have the mental capacity to fully understand and discharge your responsibility as an employer. MOM will also consider your financial ability to hire, maintain and upkeep the FDW in an acceptable accommodation. If you are a first time FDW employer, you must attend an Employer Orientation Programme (EOP) before you apply for an FDW. 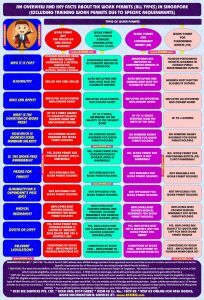 Refer to this pre-hiring checklist before deciding whether to hire an FDW, also available in Malay, Mandarin and Tamil. You should not be diagnosed with any medical condition that would impair your ability to exercise supervision and control over the well-being of the FDW. Examples of such medical conditions include Alzheimer, dementia and schizophrenia which can cause symptoms such as severe memory lapses, confusion, emotional instability, progressive loss of mental ability, paranoia, etc. 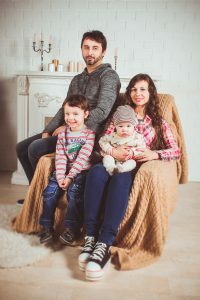 MOM will consider applications for a second FDW if you have caregiving needs, such as having 2 or more children below the age of 18 or a parent or parent-in-law over 60 years old living with you. You will be assessed on your financial ability to hire, maintain and upkeep more than one FDW in acceptable accommodation. Use the pass map to get an idea of the steps you need to take when hiring an FDW. You need to buy a security bond for your helper, unless she is Malaysian. You can buy the bond at any bank or insurance company. A security bond is a binding pledge to pay the government (up to $5000) if you break the law or the conditions governing the employment of a helper. You need a bond for every helper you employ, unless she is Malaysian. Bonds usually take the form of an insurance. 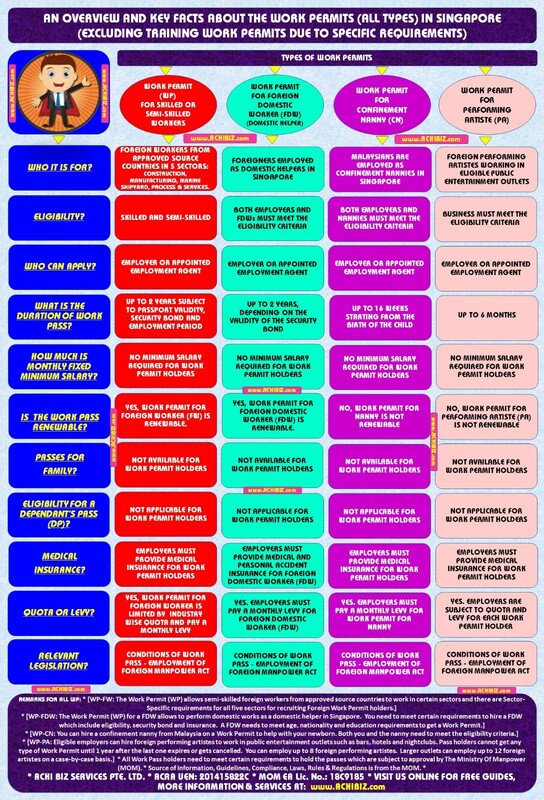 The insurers guarantee to pay the government should you break the rules; then the insurers pursue you for the money. You cannot ask your helper to pay for the bond. You can buy these items as a package or separately. Please ensure that your insurer sends MOM the security bond details (takes up to 3 working days) before she arrives and that the bond takes effect on her arrival date. If not, she will be refused entry and you will have to pay to send her home. You can check the status of the security bond. You have cancelled the Work Permit. The helper has returned home. You did not breach any of the conditions of the security bond. If all conditions are met, the security bond will usually be discharged one week after your helper left Singapore. You’ll be notified by post when the security bond is discharged. You or your helper violate any of the conditions of the Work Permit or security bond. You don’t pay her salary on time. You fail to send her back when her Work Permit is expired, revoked or cancelled, or if she goes missing. If the helper goes missing, half of the security bond ($2,500) will be forfeited if you have made reasonable effort to locate her and have filed a police report. Informed her of the Work Permit conditions she must comply with. Reported a violation when you first become aware of it. You need to buy medical and personal accident insurance for your helper. Find out the coverage required and how to submit the insurance details. Before your helper arrives in Singapore, you must buy medical insurance and personal accident insurance as part of your medical obligations to her. You cannot pass on the cost of purchasing the insurance to your helper. You need to buy medical insurance with a coverage of at least $15,000 per year for inpatient care and day surgery during your helper’s stay in Singapore. You also need to submit the medical insurance details online when you are issuing or renewing your helper’s Work Permit. You can get your employment agency to submit the details for you. · Applying for new Work Permit from 1 October 2017. · Renewing existing Work Permit with PAI that takes effect from 1 October 2017. · Must have a sum assured of at least $60,000 per year. · Must cover sudden, unforeseen and unexpected incidents resulting in permanent disability or death. · Must not contain extra exclusion clauses that are not in the Employment of Foreign Manpower Regulations. This is to protect your helper and her family by providing a lump sum compensation if she suffers from permanent disability or passes away due to an accident. The compensation must be made payable to your helper or her beneficiaries. You need to send your foreign domestic worker (FDW) for a medical examination before her Work Permit is issued. 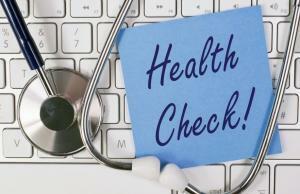 Find out the requirements for the check-up. You must send your helper for a medical examination by a Singapore-registered doctor within 2 weeks of her arrival in Singapore. Bring along the medical examination form when she goes for the tests. Her Work Permit will only be issued if she passes the medical examination. Otherwise, she will have to be sent home. The medical examination screens the helper for 4 types of infectious disease (tuberculosis, HIV, syphilis and malaria) and checks if she is fit to work. You may want to send her for more tests if you have specific concerns about her health. If you want to know the results of the medical examination, you can ask the doctor for a copy of the report. For transfer FDWs, you need to send your worker for the six-monthly medical examination, if it is due. During your FDW’s employment, you must send her for a medical screening every six months. This medical examination screens for pregnancy and infectious diseases such as syphilis, HIV and tuberculosis. The 6ME test results must be certified by a Singapore-registered doctor. You must pay for the 6ME and any medical expenses arising from it. Stay in Simei or Tampines (new locations to be added later). Your helper is only due for pregnancy and syphilis tests. You will receive a notification letter and 6ME form by post when your helper’s 6ME is due. You must send her for the 6ME before the due date. You can also log in to the FDW eService to check the previous 6ME’s date. You can then know when the next one is due, and also reprint the 6ME form. If the 6ME is due when your helper is away on overseas leave, you can request to postpone it until she returns. Helper’s full name, Work Permit number and date of birth. Send to MOM the information and request to postpone using iSubmit. Choose option 5: Work Permit Application Matters for Foreign Domestic Worker (Supporting documents and Appeals) and 6ME for FDW & FW. You can choose not to send your helper for the 6ME if you are sending her home within 1 month after the 6ME is due. If you intend to keep her more than 1 month after her 6ME is due, you need to apply for a waiver. A copy of the helper’s confirmed travel ticket. Send to MOM the information and request for waiver using iSubmit. Choose option 5: Work Permit Application Matters for Foreign Domestic Worker (Supporting documents and Appeals) and 6ME for FDW & FW. If your FDW did not pass her 6ME, you must cancel her work permit and send her home immediately. You must attend the Employers’ Orientation Programme (EOP) if you are hiring a foreign domestic worker for the first time or have changed workers frequently. Who must attend First-time employer or employer who has changed FDWs frequently. 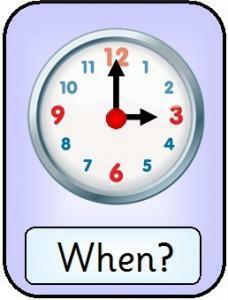 When to attend At least 2 working days before submitting a Work Permit application. How much it costs Classroom EOP: $30 to $34.50. The Employers’ Orientation Programme is a 3-hour programme that will help you understand your role and responsibilities as an employer of a foreign domestic worker (FDW). First-time employers must complete the EOP at least 2 working days before submitting a Work Permit application. You are a first-time employer of an FDW (you can be exempted if you meet certain criteria). If you have changed more than 3 FDWs within a 12 month period, and you want to apply for another one. Note: You will have to attend a classroom Employers’ Orientation Programme (EOP) or attend an interview with MOM before MOM processes your application. You cannot appoint a representative to attend on your behalf. You can take the EOP either in the classroom or online. However, MOM encourages you to attend the classroom EOP. The case studies and personal experiences shared in class will give you a better understanding of employing and managing a domestic helper. Note: Ensure that the information in the EOP registration and Work Permit application forms is the same so that MOM can match the records. When Every Friday, 6pm to 9pm. Please check with Singapore Polytechnic as the class schedule may change. Please check with Nation Employment Pte Ltd as the class schedule may change. To register for online EOP, visit the Singapore Polytechnic’s EOP website at www.sp.edu.sg. You will need a SingPass to register. Suffer from a chronic medical condition. Have a physical disability and are unable to walk. Are 60 years old and above and suffer physical discomfort. Have a sponsor or representative (above 21 years old) who has attended EOP on your behalf. Have a sponsor or sponsor’s spouse who has employed an FDW. Your date of delivery is within 1 month from the date you applied for your spouse to represent you to attend the EOP. You delivered a child within 1 month or less from the date you applied for your spouse to represent you to attend the EOP. Once your representative or sponsor has attended the EOP, you or a third-party (e.g. employment agency) are required to apply online at www.mom.gov.sg to appoint your representative or sponsor. You will be notified of the outcome immediately. Personal particulars of the sponsor, spouse or representative.Important: Use the same name and identification number as the one used to register for the EOP. Employment agency’s contact details (if applicable). If you have been advised by MOM to attend the EOP because you have changed FDWs frequently, you must personally attend the classroom EOP. Your spouse, sponsor, sponsor’s spouse or representative has to attend the EOP on your behalf at least 2 working days before you apply online to appoint your representative or sponsor. You can proceed with your Work Permit application one working day after your application to appoint a representative or sponsor is successful. If your representative attended the EOP on your behalf, please retain all documents for at least 3 months for audit purposes. You have a chronic medical illness. You are unable to walk. You are 60 years old and above and suffer from physical discomfort. Sponsor’s, sponsor’s spouse’s, or representative’s NRIC or FIN. Sponsor’s or representative’s certificate of attendance of EOP (if applicable). Your spouse’s NRIC or FIN. Birth certificate of your child or doctor’s certification of expected date of delivery. Your spouse’s certificate of attendance of EOP. You will have to send a first-time foreign domestic worker (FDW) for the Settling-In Programme when she arrives in Singapore. 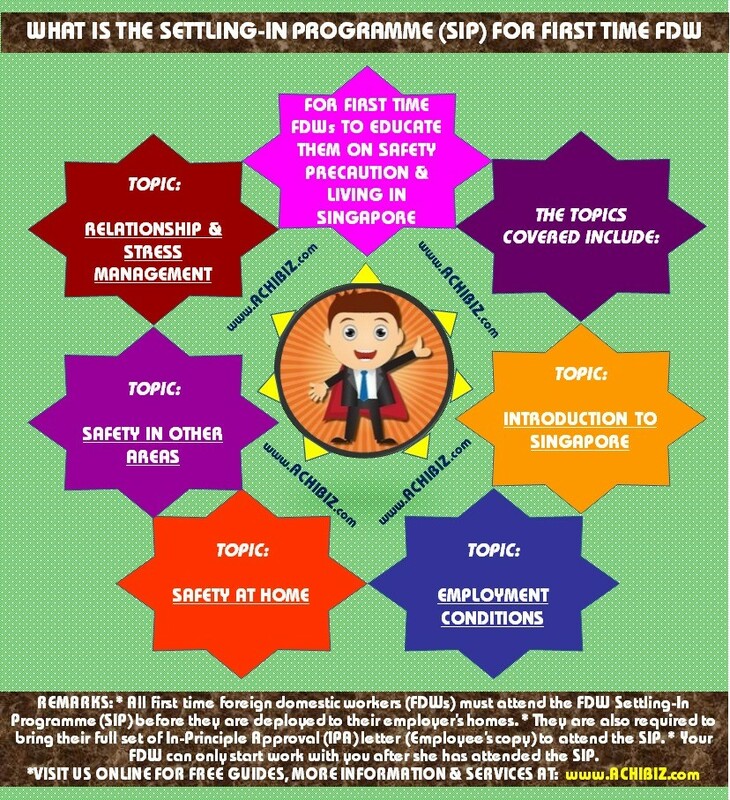 All first time foreign domestic workers (FDWs) must attend the FDW Settling-In Programme (SIP) before they are deployed to their employer’s homes. They are also required to bring their full set of In-Principle Approval (IPA) letter (Employee’s copy) to attend the SIP. 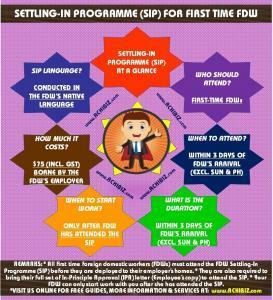 Who should attend First-time FDWs. When to attend Within 3 days of FDW’s arrival, excluding Sunday and public holidays. What is the duration 1 day. 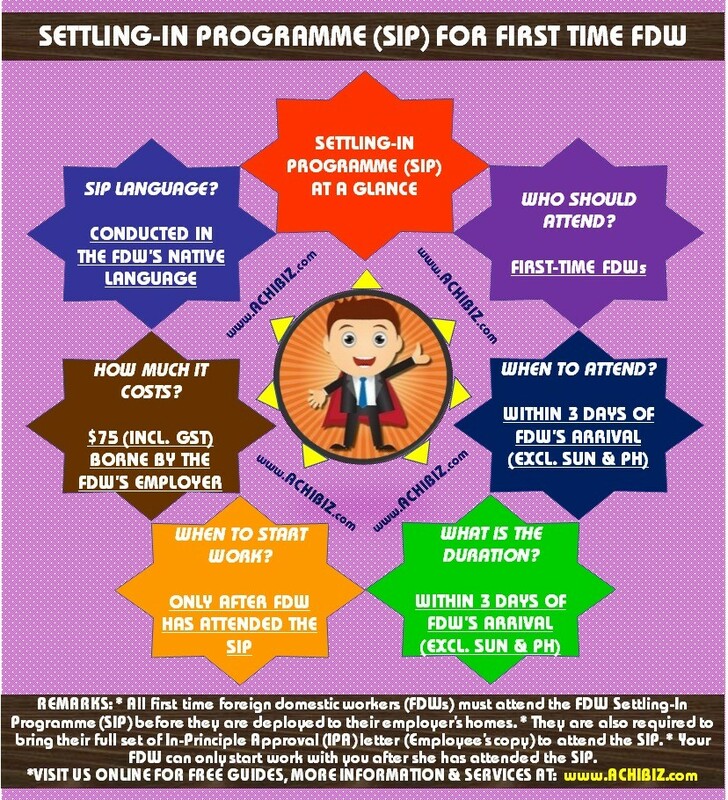 When to start work Only after FDW has attended the SIP. How much it costs $75 (including GST), borne by the FDW’s employer. Language Conducted in the FDW’s native language. 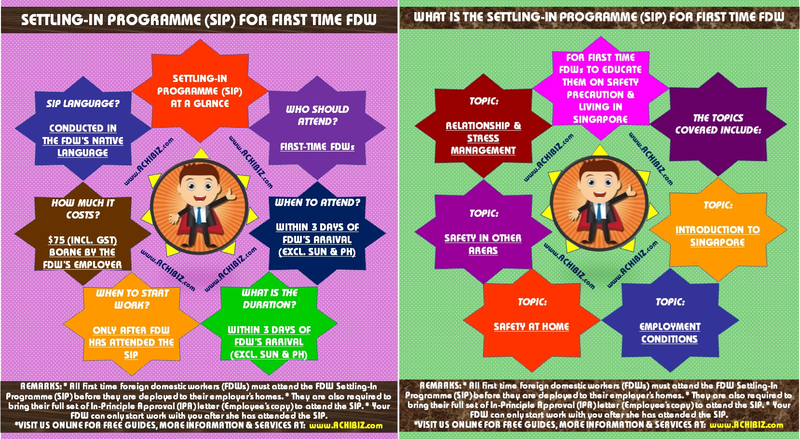 The Settling-In Programme (SIP) is a 1-day orientation programme for first-time FDWs to educate them on safety precautions and living in Singapore. Your FDW can only start work with you after she has attended the SIP. If you have changed foreign domestic workers (FDWs) multiple times within a year, you have to meet certain requirements before you can employ another worker. You are a Frequent Change Employer if you have changed foreign domestic workers (FDWs) multiple times within a 12 month period. You have to meet certain requirements before you can employ another worker. If you have changed more than 3 FDWs within a 12 month period, and you want to apply for another one, you will have to attend a classroom Employers’ Orientation Programme (EOP) or attend an interview with MOM before processing your application. You cannot appoint a representative to attend on your behalf. The service agreement is a contract that states the EA’s terms and conditions, such as replacements, fee refunds, and dispute resolution mechanisms. The Employment Agencies must sign a written service agreement with employers of Foreign Domestic Workers. This helps both parties clarify their obligations and reduces the likelihood of disputes. EAs and FDW employers can use the recommended service agreement, which includes the terms and conditions based on the requirements of the Employment Agency Comprehensive Licence Condition 16. Click here to download MOM’s recommended service agreement between the Employment Agency (ea) and the employer of FDW. * CHECKLIST to apply for FDW. * EMPLOYER’S GUIDE for FDW. * EMPLOYER TO NOTIFY MOM of any changes. * Click here to download MOM’s recommended service agreement between the Employment Agency (ea) and the employer of FDW. Please refer to MOM website at www.mom.gov.sg &/or www.cpf.gov.sg for more detailed information and up-to-date guidelines with regulations.